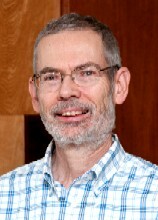 Bill Cunningham (William H. Cunningham) is a professor in the Department of Combinatorics and Optimization at the University of Waterloo in Waterloo, Ontario, Canada. Since August 1, 2012, he has been Adjunct Professor and Distinguished Professor Emeritus. Bill's current research interests include combinatorial optimization, polyhedral combinatorics, matroids, matchings and generalizations. Here is a list of graduate students supervised by Bill. Here is a list of Bill's publications. Here is a list of available papers. This term Bill is not teaching. William T. Tutte played an important role in the early success of the C&O Department. Here is some information about him. Bill can be reached by email at this address: whcunnin atsymbol uwaterloo dot ca. Phone numbers: 519-888-4567 extension 34627 (office), 519-888-4567 extension 33482 (assistant), 519-897-1920 (home), 519-725-5441 (fax).